SUMMER might be a joyous season of surf, sun and sand for many but for some gardeners recent heatwave temperatures have brought heartbreak. Watching a lovingly nurtured plant seemingly blow-torched before your eyes is a harrowing experience. When it happens on a large scale, it can seem unbearable. Understandably, a few might throw up their arms in frustration and quit gardening altogether. Yet we gardeners are a tougher breed than that, or we should learn to be. 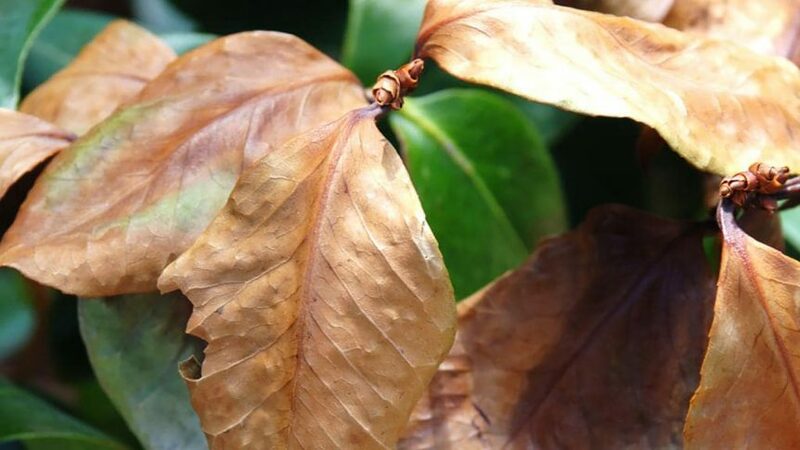 While some plants will have been lost forever, the reality is that many heat-ravaged plants can be coaxed back to their beautiful best with a­ ­little horticultural first aid. Nature, with a little of our help, has an amazing ability to heal scars. A stressed plant needs regular water — and quickly — but resist the urge to over-water. Too much water too quickly promotes saturated, sodden soil. Inevitably, sodden soil is devoid of the oxygen that plants take in via their roots. Take away that oxygen and plants stress more. So aim to keep the soil moist-ish, but not sodden. Likewise, avoid jumping in and cutting off all that burnt, dead foliage. It might seem a good idea, but it often isn’t. The cutback immediately exposes underlying foliage to more sun, and possibly more damage and stress. It also encourages the growth of tender new foliage unable to stand up to the sizzle. It can look ugly, but burnt foliage provides a protective shield until cooler autumn days arrive. Then you can get out the loppers. On the other hand, cutting back a healthy plant well before drought conditions are expected is a good idea as it reduces its overall need for water. With suffering deciduous plants, you may as well wait until winter when they would normally be dormant before cutting them back. Exceptions to the no-cut rule are clumping plants growing from rhizomes and grasses and flaxes. These can generally be cut back hard, encouraging reshooting from the base, hopefully after conditions have eased. With annuals such as petunias, simply cut them back by about a third, remove dead flower heads and foliage and liquid fertilise fortnightly. Relieve plant stress generally by applying a seaweed tonic that gently stimulates root growth while improving the condition of parched soil. Whatever you do, don’t fertilise a heat-damaged plant straight off. Fertilisers, particularly quick acting ones and those rich in nitrogen, encourage new growth and that’s the last thing a stressed plant needs. When conditions return to normal, apply slow-release fertiliser. Sadly, during drought conditions we often forget our beautiful trees, yet this is when they need us most. Again, avoid over-watering and waterlogged soils around ailing trees. A couple of deep waterings over a couple of weeks with the addition of a seafood tonic such as Seasol is a good treatment. Of course, if we had taken the right precautions well before those days of crippling heat, plant suffering might have been reduced. Don’t forget mulch is important, then more mulch. Mulch is the mainstay in conserving moisture over summer and keeping soil temperatures down. See original article for more tips and tricks.